I must say that I'm finding this to be true. I've been multi-crafty lately and I find that the switching between knitting and sewing is really keeping me more excited about both. When I need a break from one, I can pick up the other! 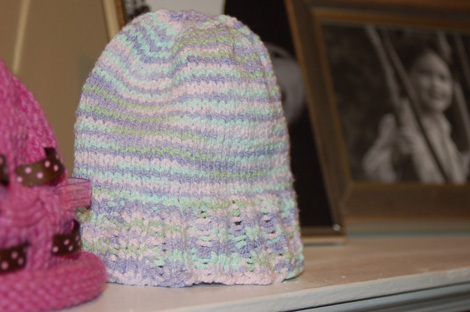 Another hat is finished for Little Miss Sophie. I'm hoping this is one for the really teeny newborn stage at the hospital and the first few days home. I've already posted about the ribbons hat which is more cutesy and less practical. 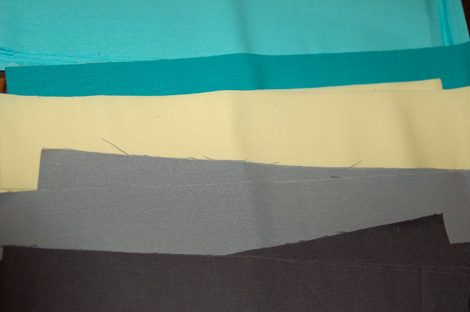 This one has stretch from the Cascade Fixation and is machine washable. Of course, I put it on Baby Starfish to check out the shape. Remember, he is four months old and a big boy so it's too small on him! 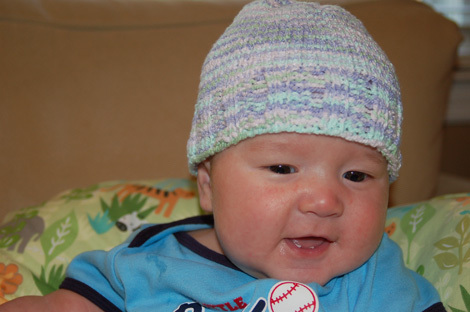 Seriously, Mom... How many of these too-small girly hats am I going to have to wear? I got the fabric for my first month of Sew Bee Wonky. I love these colors together. You can't really go wrong with Kona cotton. There are so many colors from which to choose. The blocks are going to be wonky square in square. They are for Kandra who likes a modern look with no prints. Two people in our bee have already made their blocks (wow, that's fast!) and they look great! 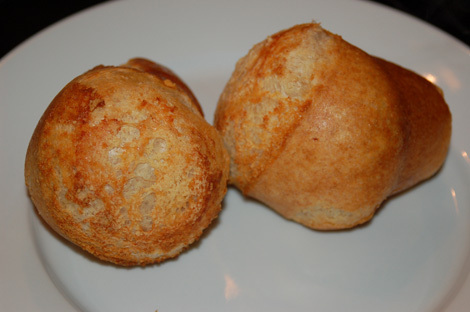 I'll leave you with a parting shot of tonight's parmesan popovers. Yum! Oooh, and a giveaway is definitely coming this week. Stay tuned! all your stuff looks great, but i think the popovers are my favorite! they look delicious. Being multi-crafty is the best! Baby Starfish is ADORABLE. What a cutie. And those popovers look yummy! This page contains a single entry from the blog posted on July 4, 2010 8:42 PM. The previous post in this blog was I'm zigging and zagging. The next post in this blog is July bee blocks and a giveaway!.